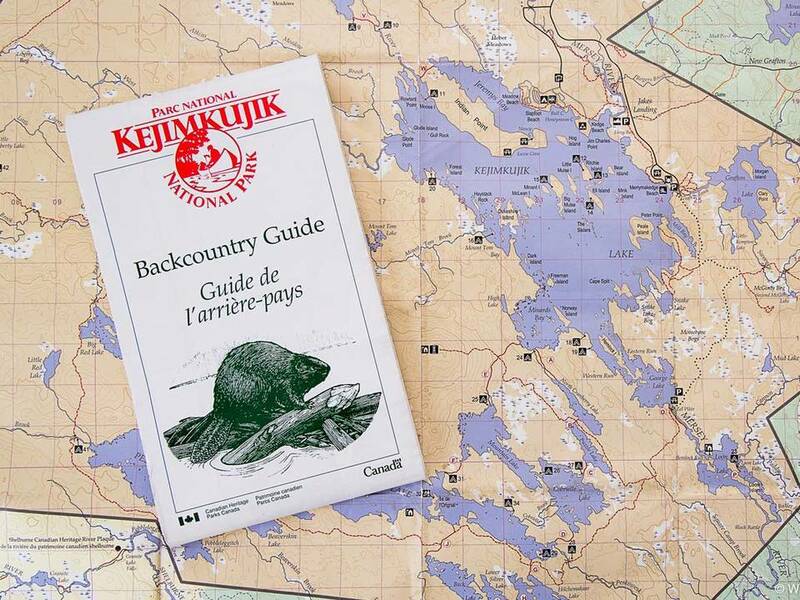 This is a waterproof, tear-proof 1:50,000 topographic map of Kejimkujik National Park. This map is an invaluable resource for anyone planning a backcountry trip in the park. You will receive the most up to date version of this map with your order. This Backcountry Guide includes all backcountry campsite locations, portages and road and trail networks within the map. Also included are the locations of warden's cabins, descriptions of popular canoe routes, descriptions and distances of each portage, hiking routes and information and a Navigational Buoy Map. There is also a list of Backcountry Camping Regulations as well as tips for drinking water and food storage and campfires. Whats more, there is even a Trip Planning Checklist! We have a standard shipping fee of $5, but this may be subject to additional fees if we are required to ship across international borders. Please write us in advance to determine shipping cost. Please note the map which downloads with the above link can be used with the Avenza App on your mobile device. It will combine the map with the mobile device's GPS ability to show you where you are, record distances and record tracks! How cool is that? Although a digital version is super neat, please don't be fooled into thinking it is an appropriate substitute for the waterproof, tear-proof hard copy!